Finding the right mortgage is as important as finding the right home. 1. Shop lenders It's as important to shop lenders as it is to shop homes. The right mortgage can save thousands of dollars through the life of the mortgage. Start with a lender you have a sound working relationship with but also check other commercial banks, thrifts, credit unions and mortgage brokers to find the best rates and terms. 2. 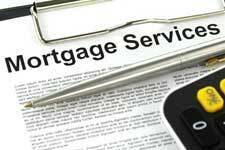 Mortgage Brokers place loans with various lenders rather than provide loans themselves. While they can provide more options they also charge fees. Brokers place loans with a variety of lenders. Check with several to canvas the market in addition to shopping lenders. 3. Shop for Internet mortgages but be aware of inconsistencies and changes in terms and rates. Print or link quotes and terms to improve acceptance by online lenders at a later date. 4. Compare loans not only on interest rates and monthly payment but also the complete cost of the loan including points, fees, repayment penalties, etc. Ask all potential mortgage lenders for quotes on the same loan figure, terms and kind so you can effectively compare mortgages. For ARMS (adjustable rate mortgage) get figures on how much the monthly mortgage will be a year in 5 yrs and 10 yrs. 5. Negotiate Once the best lender is located, negotiate for the best bargain. Lenders and brokers adjust their rates for the same mortgage package for different customers. Have your lender provide all mortgage expenses in writing, then ask for reduction in fees, rate, or points. It never hurts to ask and the lender usually has the power to comply. 6. Don't prejudge your credit Isolated credit issues can be overlooked by some lenders. This is where shopping around for a lender is essential. Local lender, those that keep their loans in house tend to have more latitude as opposed to lenders who sell their loans on the secondary market. 7. Shop loans on the same day. Rates change daily but not over the weekend. This can provide more time to evaluate lenders. 8. Lock your rate When a lender is chosen ask them to lock your rate so that any increase while the loan is in process will not apply. However, be sure that any decrease in rates will be applied. 9. Shop around for third-party services such as title insurance and appraisal. This will often provide savings when compared to lender offerings. 10. Know the complete costs of home ownership in terms of required down payment, mortgage fees, monthly payment plus insurance, taxes, utilities, etc. In other words, know what your monthly nut will be and that you can afford the costs plus a cushion for emergencies.